Custom wrapped gifts are all the rage right now, and our giant round willow baskets are all you need to create a thoughtful, personalized treat for your loved one. 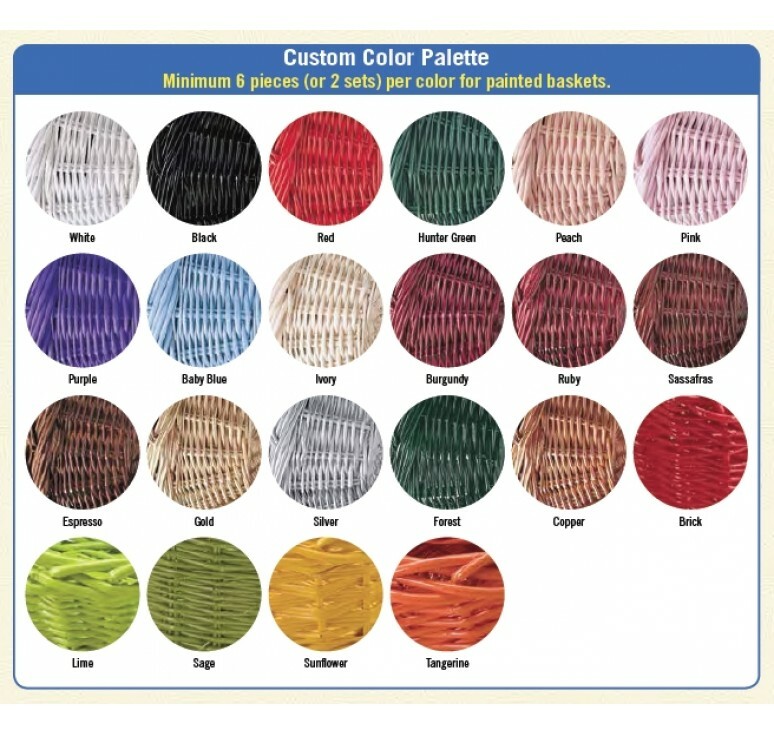 Sold in sets of three, these woven baskets feature fixed braided handles and can be painted in a plethora of colors to fit any gifting need. 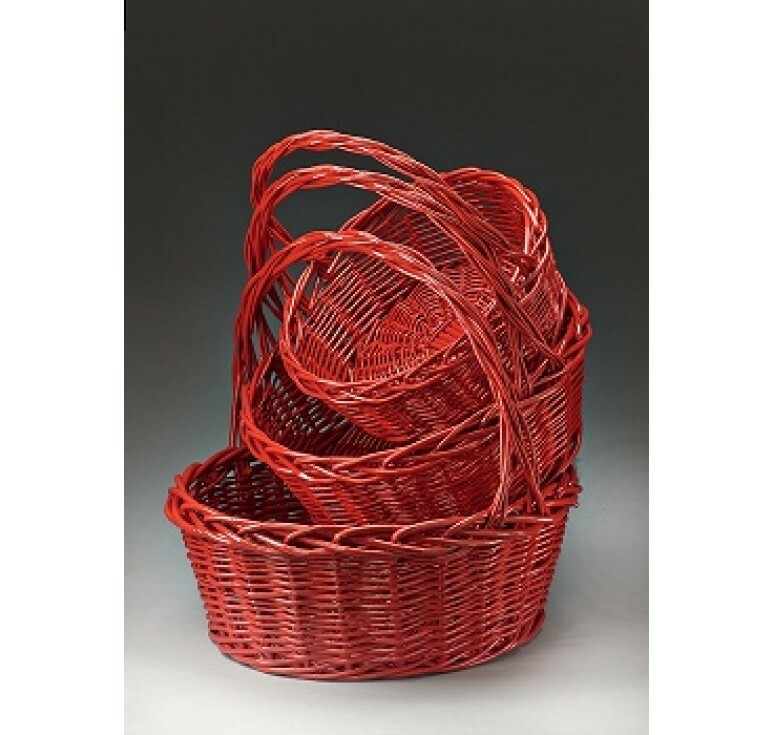 Giant Round Willow Baskets Set of 3. Available Natural or Painted. Pictured in painted color "brick."